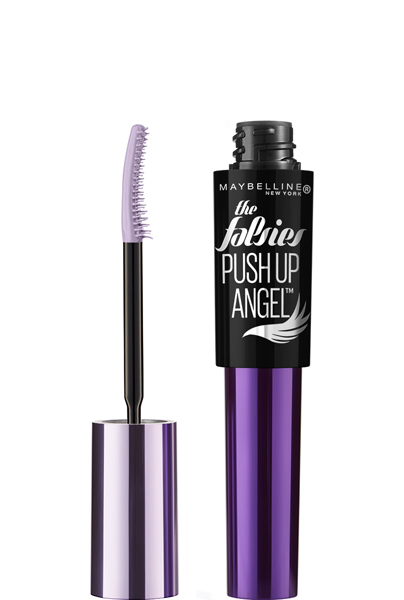 All Posts Tagged With: "Brow Gel"
We’re loving the new Maybelline The Falsies Push Up Angel Mascara for recreating the winged-out look of hand-applied individual faux lashes. With fall approaching, Modelinia.com is here to give you tips on the hottest makeup trends. For the Fall 2009 season, it is all about bold eyebrows; playing up the shape and intensifying the natural brow color. Precision brows were seen on the runways of Derek Lam and Jason Wu and on celebrities like Megan Fox, Brooke Shields, and Jennifer Connelly. Johnny Lavoy, Maybelline’s resident makeup experts and the host of Modelinia.com’s series Get the Look, gives step by step instructions on how to get this bold, confident look that is sure to make a statement for Fall! 1. PREP: Prep your face with foundation and blush. 2. EYEBROW PENCIL: Take an eyebrow pencil and create little hair like strokes. Don’t go too heavy! 3. BROW COMB: Blend in any heavy or harsh lines with a brow comb. Watch Marta’s video blog for today on how to get perfect eyebrows with Anastasia Beverly Hills. Anastasia Beverly Hills All About Brows Kit in Ash Blond (cool taupe). Anastasia Beverly Hills Brow Gel. Anastasia Beverly Hills Brow Wiz. Anastasia Beverly Hills Go Brow – Universal Brow Pencil. Anastasia Beverly Hills Classic Stencils. Anastasia Beverly Hills Tinted Brow Gel.